The Organic Decaf One Black was roasted for you by Centri Coffee. This Organic certified decaf is a custom blend of rotating seasonal coffees from South America and was decaffeinated before using the chemical-free Swiss Water decaffeination method. 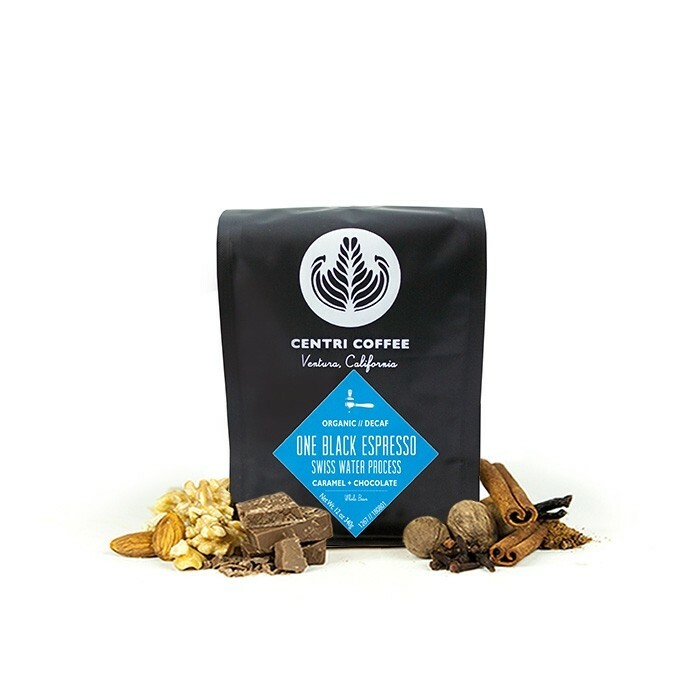 Decaf One Black maintains a caramel and chocolate-centric flavor profile and is a versatile coffee that brews well in a number of brew methods.